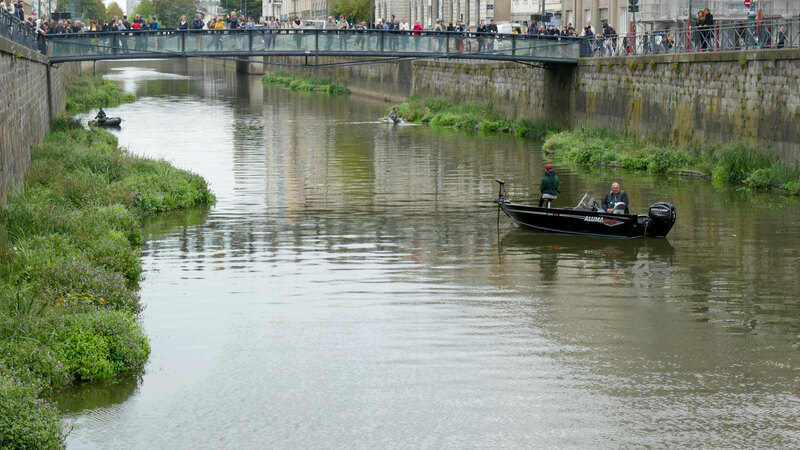 The River Vilaine flows right through the historic city centre of Rennes, where it is enclosed by steep vertical stone walls on all sides. 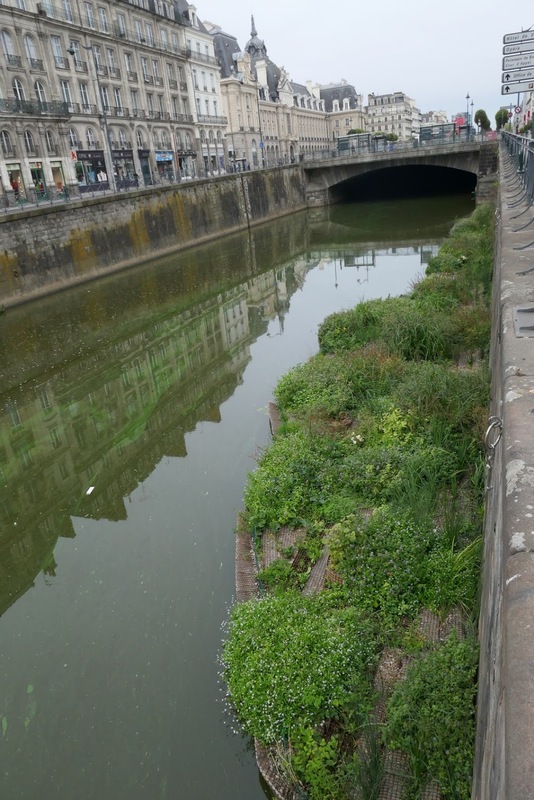 The water was a neglected feature in the city centre and many residents voted for its ecological enhancement. "The four gardens representing an accumulated area of > 650 m² are now in place. This is a real success for Rennes. The aesthetic aspect of the modules is particularly appreciated and this despite plants just planted and therefore still very small. We are pleased to have worked with Biomatrix at every stage of the project. In test phase in 2017: technical advice allowed us to define our needs and solve technical problems of resistance to the current in particular.  In the site preparation phase in the spring of 2018 fast and accurate exchanges allowed us to settle many small details." 658m2 of floating ecosystem surface, divided over four riverbank sections, make up the largest floating riverbank ever created. 268 Biomatrix floating islands modules were used, including 26 High Buoyancy Planters for small trees and shrubs. 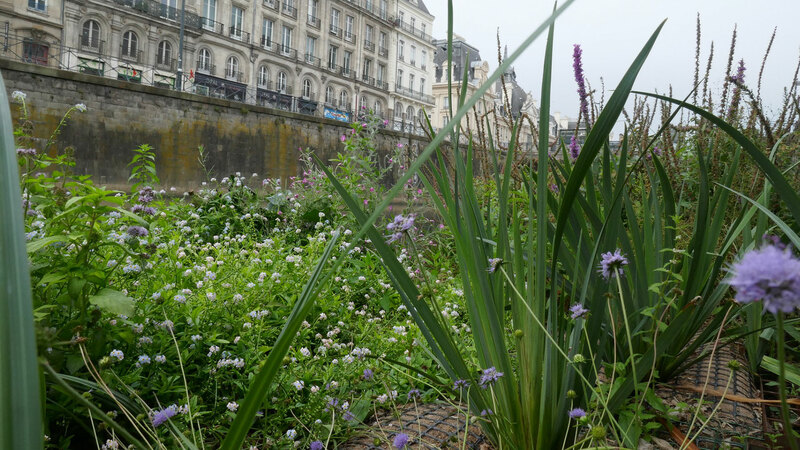 6200 native marginal aquatic plants were planted on the islands, they are expected to mature within their first growing season. Streamlined deflectors, internal structural bracing and dynamic anchoring were incorporated in the system to accommodate the challenging site conditions. Peak water flow velocity exceeds 2 m/s and water levels can fluctuate up to 2.5 meters. Service walkways run along the entire length of the riverbank sections for the Gardner’s to access the garden. Installation continued over one month and a major flood occurred halfway through the installation, with the ecosystems withstanding the high flow rates without difficulty. 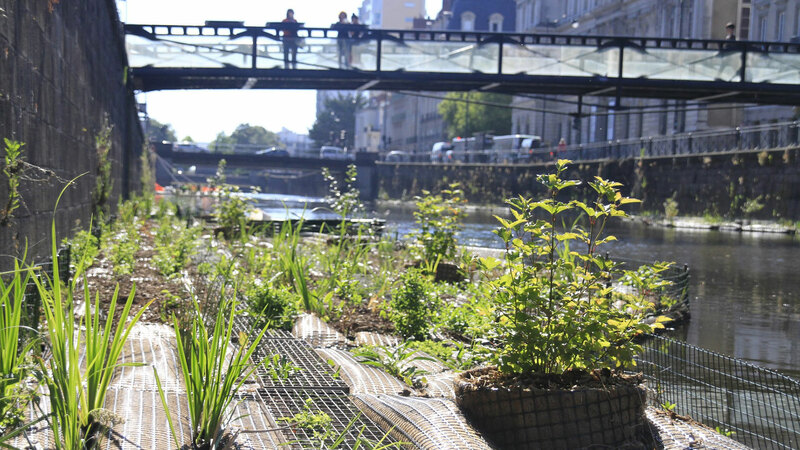 As a result of this project, the once stark and relatively lifeless Vilaine river at the heart of Rennes city centre is coming to life again, helping to make Rennes one of Europe’s pioneering Living Water Cities.